Everyone wants a magic formula to get their child to do what they are told but we all know that is easier said than done. You might be trying to get everyone into the car and buckled in to get to soccer practice, you might be trying to get some help to tidy up the toys or you might simply be trying to get your child to eat what you’ve made for dinner. I can’t take credit for this little gem. Before Mia was even crawling (so more than a year before it would ever be needed), I attended a webinar based on this principle by Positive Parenting Solutions and I was sold. I first discussed it with my husband to be sure we were on the same page and he agreed that it sounded promising. I can’t stress the importance of that enough – as parents, you both need to be consistent in your use of this principle or else it won’t be as effective. The theory is simple: “WHEN you do X, THEN you can do Y.” Applying it in real time situations, when you are met with protest, whining or crying, is much more challenging. You need to be thinking on your feet and very aware of your wording. It is so easy to slip and say “IF you do X, THEN you can do Y”, but this gives the child an option. By saying “IF”, you are suggesting that they may or may not do the task. By actively choosing to say “WHEN” you are implying that the task will be done and that is the key to your success. This principle has won so many battles at the dinner table for us. Just tonight, I found myself saying: “WHEN you finish your zucchini, THEN you may have a bowl of watermelon.” Once you make the statement you can’t back down. Kids crave consistency and if you break and give them the sweet treat before they do as you expected, they remember and learn that pattern. Try it right now – think of a battle you either lost today or when you needed to raise your voice to get a result. Can you apply this principle to that situation? Have a chat with your partner about this principle and get on the same page. Test it out tomorrow and post to the comments below to let me know how it worked for you. 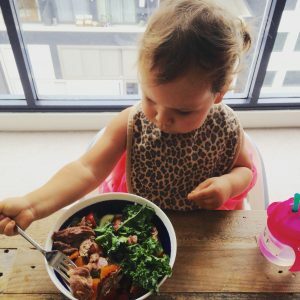 The photo above is my sweet Mia eating a bowl of kale, tomatoes, cucumber, pumpkin and lamb for dinner. That did not happen on accident! We followed the Infant Nutrition Program when we introduced solids at 6 months. 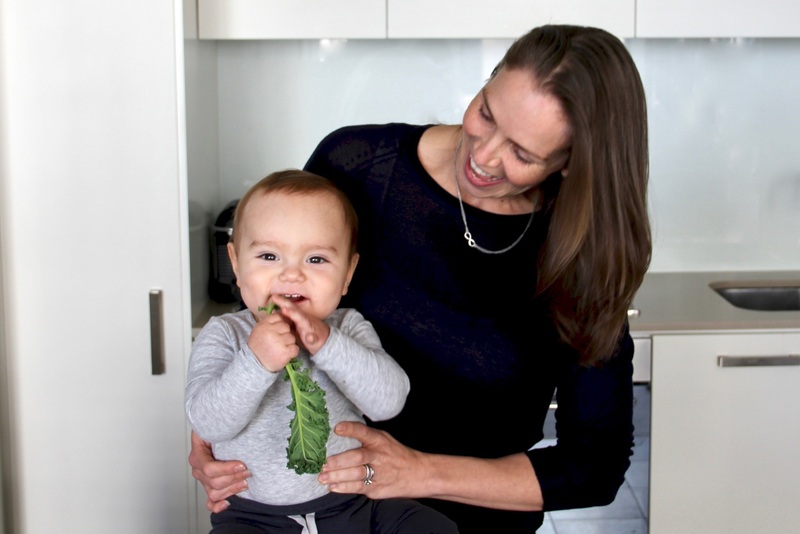 Click the link below if you’re keen to join the many parents who are following this guided program to introduce solids to their little ones. Give your child the best start possible when transitioning to table foods!